“Ah, maturity. San Francisco Ballet opened its 75th anniversary season Tuesday with the dance equivalent of a gloriously grown-up dinner party. There’s nothing cutting edge or challenging to interfere with the digestion on Program 1, only great dancing that flows with the ease and civility of fine conversation. If you’re looking for innovative choreography, this is not the evening for you. But if you like walking out of the opera house gently glowing from the pleasure of two hours in charmed company, you could hardly do better. Yuan Yuan Tan and Ruben Martin in “Diamonds,” photo credit Erik Tomasson. Nutnaree Pipit-Suksun and Tiit Helimets in “7 for Eight,” photo credit Erik Tomasson. 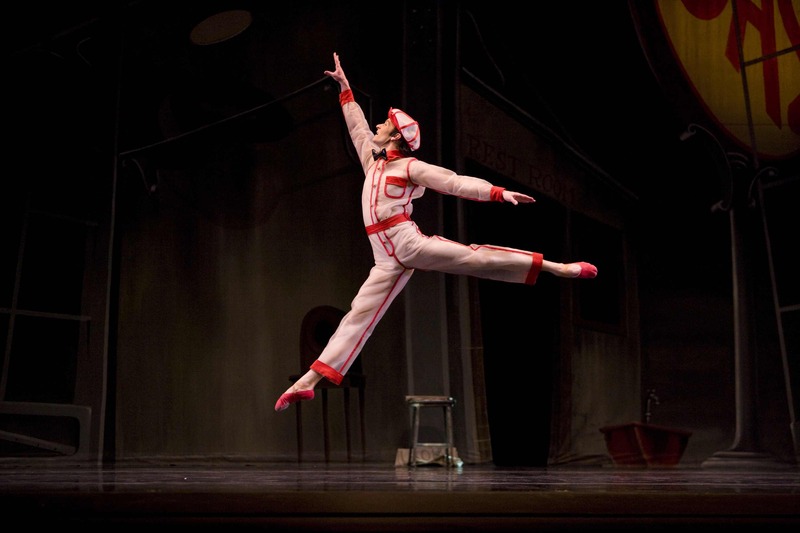 Rory Hohenstein in “Filling Station,” photo credit Erik Tomasson.